the old with the new. Tigue Moore baseball field is one of Louisiana’s largest and most impressive baseball facilities, and has been home to Louisiana’s Ragin’ Cajuns since 1978. “The Tigue,” affectionately known by its faithful received its most visible upgrade in January 2010, when a ProGrass Synthetic Turf System was installed. Since 1999, UL has consistently ranked in the Top 50 nationally in total and average home attendance. During the Cajuns’ 2000 World Series run, Louisiana ranked 26th in total home attendance and saw a record attendance of 70,267 in 2003. 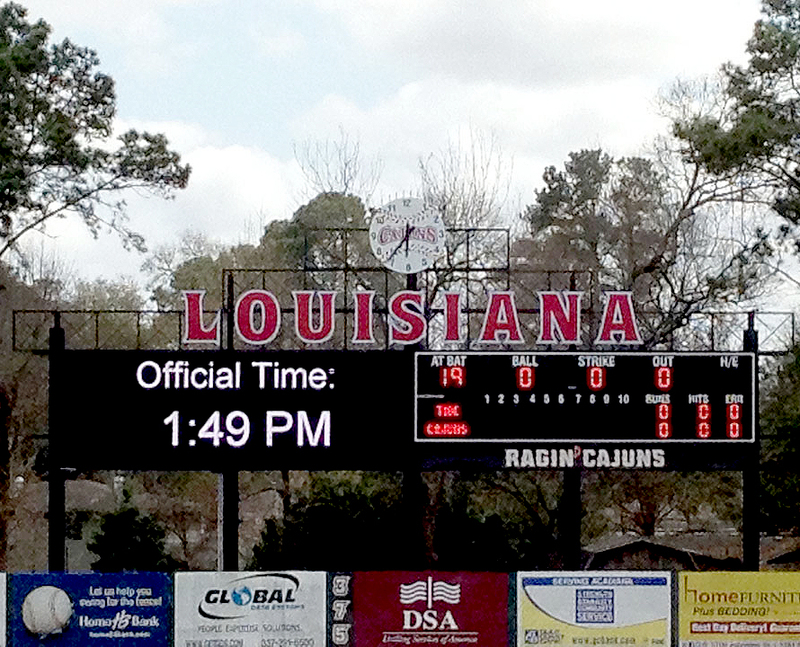 The Cajuns averaged 32nd in home attendance in 2010 marking 11 consecutive seasons with a 1,000-plus average. 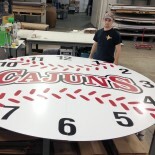 Recently, the aging face of its iconic 8 ft. baseball clock, that once sat atop the center field scoreboard, underwent restoration by Pixus Digital Printing of Lafayette, La. 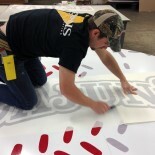 The process included replacement of the clock’s face with a high grade 1/8″ aluminum composite known as Max-Metal, then applying an adhesive vinyl graphic and completing the project with a layer of automotive clear coat. 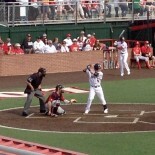 The Louisiana–Lafayette Ragin’ Cajuns baseball team represents the University of Louisiana at Lafayette in NCAA Division I college baseball. 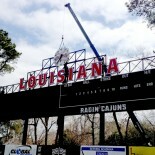 The Ragin’ Cajuns baseball team competes in the Sun Belt Conference and are currently coached by head coach Tony Robichaux. Pixus is solely responsible for content, views and opinions contained within this article.